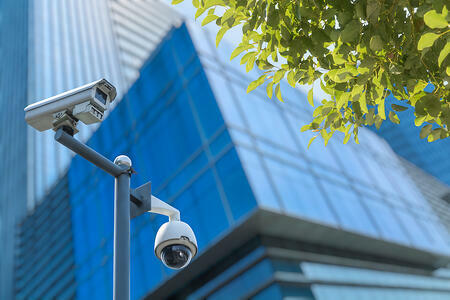 Thousands of companies rely on video surveillance systems to monitor daily activity in and around their organizations. You might remember the original video surveillance systems. They consisted of large, clunky cameras with a limited field of vision, grainy resolution and poor backup ability. To say there is a significant difference between older surveillance systems and today’s sophisticated digital video surveillance systems might be an understatement. These days, regardless of the business you operate, there are many benefits to using a digital video surveillance system. What does a digital surveillance system consist of? How much work does it require to manage and maintain? 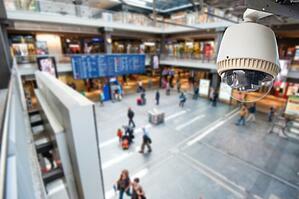 Most importantly, what are the benefits of using a digital video surveillance system? Years ago, the only real options for business surveillance were these old, outdated analog systems. Every camera on the system needed a hardline connection for power and to capture the video feed. Each camera needed to link directly to a VCR to record its video feed, and in many cases, each video feed needed its own monitor to display that feed for security and management personnel. Today’s digital video surveillance systems require much less hardware to support cameras and display video feeds. Now, multiple cameras can connect to a single DVR capable of recording and archiving much more data than older VCRs. Remotely deployed IP-enabled cameras can monitor an entire premise with no more than a power source. DVR backup allows your security personnel to not only capture and record more data, but also play back live feeds and capture still images in HD quality. There are also software programs offered for use with digital video surveillance systems that analyze video feeds for behavioral patterns. These can be used to monitor activity at registers, watch for theft in various locations and even alert management personnel to potential hazards (such as spills and wet floors) from a safe distance. Digital video systems capture live feeds and still images in high definition. This makes it easier for your security personnel to follow details with greater clarity, make faster decisions and more effectively safeguard customers and employees. You will invest less capital in surveillance because you can cover more of your store with fewer cameras, and only simple IT infrastructure and wiring is required to support the system. DVRs capture and record more data than VCRs, and with multiple feeds on one monitor, that’s just more money in your pocket. When your company needs more cameras, it’s as easy as installing a new camera to cover a new location. Multiple camera feeds can be managed on one DVR and viewed on one screen, saving time and money when it comes to scaling security coverage. Your system can be managed from one central location, even though cameras are located in stores or locations throughout your company. The system can be as open or closed as you want it to be, and access to the system is available from a central or remote location. Out of the office? Not a problem. Many digital video surveillance systems have mobile apps that allow management and security personnel to access live and archived video feeds on numerous cameras from smartphones, tablets and even remote computers via web browsers. Above are just some of the benefits of a digital video surveillance system that gives your company peace of mind. Modern digital cameras also help eliminate blind spots in your office or retail location. 360-degree dome cameras are capable of capturing more with fewer cameras. Your security personnel can also manage these cameras in real time to follow threats as they develop, without having to track potential threats from one feed to the next. Digital video surveillance provides all of these benefits to your company without creating a significant financial burden. Digital surveillance can achieve safety and security goals with great effectiveness at a lower cost of ownership than traditional, analog systems.